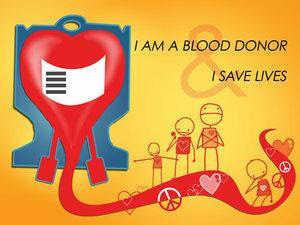 100penulis: I Give Blood, Will You? 1. The exalted feeling of saving someone's life. If we donate the little excess blood in our body, it could save someone's life without creating any problem for us. Instead it would help to alleviate some major health problems like heart diseases. 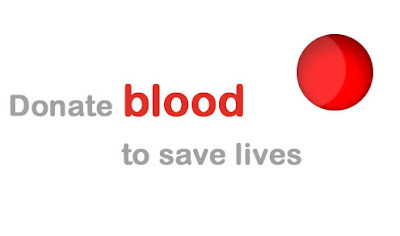 Blood donation is an excellent way to get rid of excess iron accumulated in our body due to its overconsumption. Excess iron in the body can stimulate the formation of free radicals which are responsible for causing damage to body cells and tissues. Free radicals are also associated with many diseases like heart diseases and cancer. 2. Burns the extra calories and reduces your cholesterol level. Kalau tak silap, there are no major disadvantages of donating blood except that sometimes you might experience a drop in blood pressure, mild nausea or dizziness for a short while. But if you compare the health benefits and mental satisfaction that comes from saving a life, you will feel that benefits of this act of charity is not only restricted to the recipient, but also helps the donor immensely. dh cukup 6 months kot after last derma darah, ada peluang nnti kita buat lgi. kadang-kadang.. topik health ni bile ade, ramai yg malas baca. tapi bile ade yg sakit mesti mula la info/cerita pengalaman orang lain. posting pasal health may not be the most famous topic, but it saves lives too. I donate blood since many years. Everyone should do that!